The Brazilian government is telling the world that the recent decision by EU's Justice Ministers to support the European Pact on Immigration and Asylum reinforces a negative predisposition and allows forms of control that when applied "may prove arbitrary or contrary to human rights." South America's largest country and one of the world's leading emerging economies recalls that Brazil hosted millions of foreigners, mainly from Europe, with generosity and without discrimination. The official release from the Brazilian Ministry of Foreign Affairs points out that the main points of the pact approved by EU Justice Ministers on September 25 "address new restrictive norms regarding immigration." The decision follows up "on a worrying escalation of measures adopted within the European framework which, by purportedly fighting illegal immigration and encouraging regularization, reinforce a negative predisposition toward migration, generalize selection criteria and allow forms of control that, when applied, may prove arbitrary or contrary to human rights." "The Brazilian government reiterates the terms of the June 18 official release on the so-called European "Return Directive," which regretted the unfavorable perception on migration and noted its effects contrary to a desired reduction of hindrances to the free circulation of individuals and of a broader and lasting coexistence among the peoples. "Brazil, which has hosted millions of foreigners, mainly from Europe, with generosity and without discrimination, hopes that the EU countries, in deciding on the "Pact" at the European Council meeting to be held in October, may take into account their historical experiences and the benefits they have reaped from migration, thus avoiding initiatives that create new divisive factors among countries sending and receiving immigrants. "The Brazilian Government staunchly upholds the right to come and go and has been reinforcing its policy to support its nationals abroad. In line with this stance, it will increase the vigilance regarding measures in violation of universally accepted humanitarian and coexistence rules that may affect these individuals." so many idiot so many brainwashin i rather dealing with hugo lula moralez, then george w bush and tony blaire or browns yellow faggit, brazilian are doing good job im proud of them , venezuelian people are motivate with they president . Excellent “ColocaÀƒ§Àƒ£o”.You have a very clear view of things. so his kids canÀ‚´t run around in your yard anymore and see if thereÀ‚´s something interesting in there….. 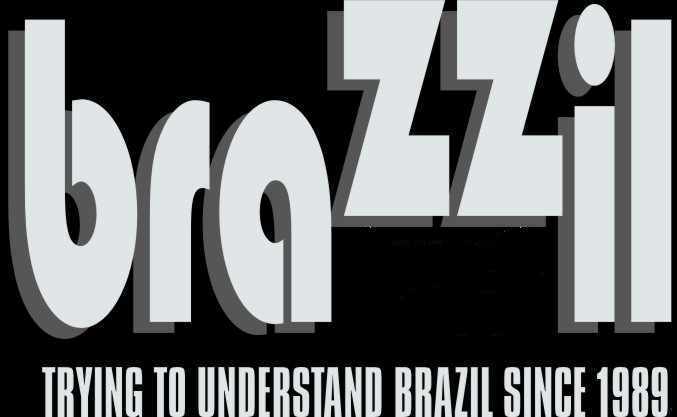 This said I always smile when Brazil criticize so much the EU or USA. As per Bin Lula they are doing great, but people are willing to pay $ 10k to get out of their tropical paradise…and enter HELL !!!!! Hmmmmm doesnt add ! Except in Brazilian common sense ! Brazil criticizes the EU for their immigration laws and says we should provide Brazilians opportunities they did not get at home ! It does say it all……only nearly because the EU unemployment rate is as HIGH as in Brazil ! Is Bin the Crook saying the EU HAS to HAVE A HIGHER unemployment rate than Brazil…to please THE EMPEROR OF SOUTH AMERICA ??????? Ohhhhhh and of course it is not the countries that constantly criticize the most the EU (or the U.S.) that may end up with a more favorable decision ! THE IDIOT has never thought about this….yet !!!! Getting upset because you lock your gate, so his kids canÀ‚´t run around in your yard anymore and see if thereÀ‚´s something interesting in there. But the EU has ALREADY hosted 10 times more foreigners than Brazil ever has !!!!!! And What about the immigration laws in Brazil for people from Bolivia, Ecuador, Peru, Nicaragua, China, Thailand, Indonesia, Russia, Ukraine, and last but not least from the many African countries ??????? This was just to name a few countries within many more !!!! And about Human Rights Abuses, what is the ranking of Brazil ?????? ?